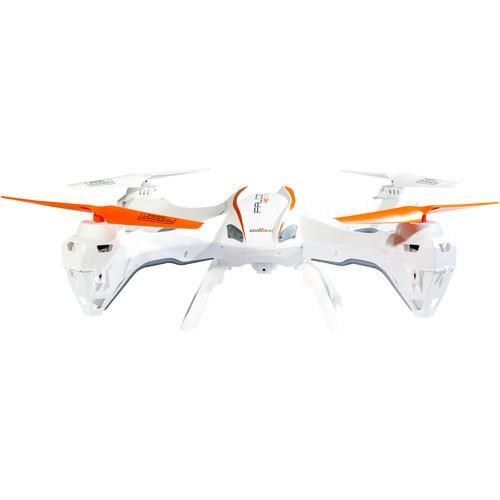 We recommend checking out our discussion threads on the UDI RC U842 FALCON Quadcopter with HD Camera (White) U842, which address similar problems with connecting and setting up Aerial Imaging Platforms & Drones UDI RC. The user manual for the UDI RC U842 FALCON Quadcopter with HD Camera (White) U842 provides necessary instructions for the proper use of the product Camcorders - Aerial Imaging & Drones - Aerial Imaging Platforms & Drones. The white U842 FALCON Quadcopter with HD Camera from UDI RC includes a 720p resolution camera enabling you to make a record of your aerial adventures in HD quality. 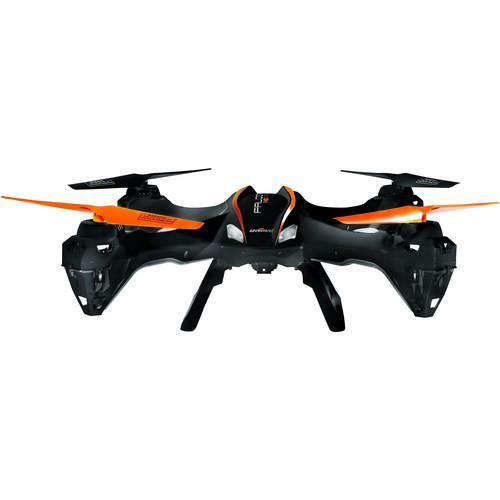 It features a quad-rotor design with detachable propellers guards to protect against light collisions. To pilot the U842, a 4-channel, 2.4 GHz handheld transmitter (radio controller) comes in the box and is pre-bound to the aircraft, making this bundle ready-to-fly. The copter sports to speed modes, a high speed mode for more advanced pilots or to compensate for windier conditions and a low speed mode ideal for beginners. Also included are a 1000mAh flight battery, a USB battery charger, a 2GB microSD card, a USB card reader, and a screwdriver. If you own a UDI RC aerial imaging platforms & drones and have a user manual in electronic form, you can upload it to this website using the link on the right side of the screen. Box Dimensions (LxWxH) 20.5 x 14.9 x 6.3"
The user manual for the UDI RC U842 FALCON Quadcopter with HD Camera (White) U842 can be downloaded in .pdf format if it did not come with your new aerial imaging platforms & drones, although the seller is required to supply one. It is also quite common that customers throw out the user manual with the box, or put the CD away somewhere and then can’t find it. That’s why we and other UDI RC users keep a unique electronic library for UDI RC aerial imaging platforms & droness, where you can use our link to download the user manual for the UDI RC U842 FALCON Quadcopter with HD Camera (White) U842. The user manual lists all of the functions of the UDI RC U842 FALCON Quadcopter with HD Camera (White) U842, all the basic and advanced features and tells you how to use the aerial imaging platforms & drones. The manual also provides troubleshooting for common problems. Even greater detail is provided by the service manual, which is not typically shipped with the product, but which can often be downloaded from UDI RC service. If you want to help expand our database, you can upload a link to this website to download a user manual or service manual, ideally in .pdf format. These pages are created by you – users of the UDI RC U842 FALCON Quadcopter with HD Camera (White) U842. User manuals are also available on the UDI RC website under Camcorders - Aerial Imaging & Drones - Aerial Imaging Platforms & Drones. The drone does not respond to righ side comandos yaw and pichi.